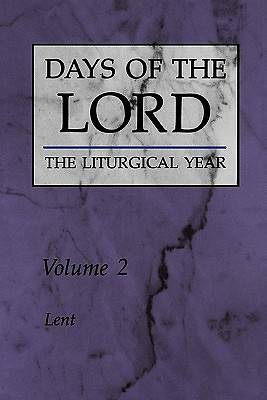 Days of the Lord is an excellent guide to the riches of the Church's liturgy, and a welcome companion to the Sacramentary, the Liturgy of the Hours, and the Lectionary. First published in Belgium, this outstanding seven volume series will enable all Christians to enter into the mystery of the liturgical year, to pray with understanding, to proclaim the beauty and wealth of the liturgy. More than a thorough commentary on the readings, more even than a reflection on the liturgical seasons, this series comprehends the totality of the liturgical year-that vehicle developed by the Church to express, summarize, and present "the whole mystery of Christ," the mystery that we are called to profess and celebrate every day. Since this mystery belongs to all Christians, the writers of this series have written their reflections with the average reader in mind. Yet the knowledge and insight that they bring to this work make it invaluable even to those who are themselves well versed students of the liturgical calendar. Readers will come away not only with a greater understanding of the liturgical year, its structure and meaning, but with a deepened appreciation of the prayer life the liturgical year provides through its structure.